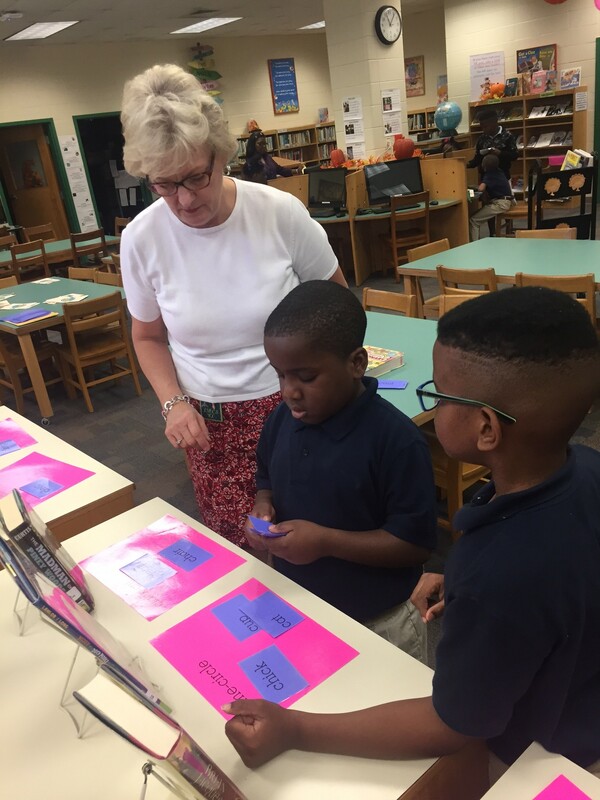 Second grade students come in with very little experience with reference sources, so we usually kick off with dictionaries. I try to give them an opportunity to use them near the beginning of the year. We kick off our lessons about reference tools with a traditional paper dictionary. They were assigned a word that related to Jimmy Carter, one of the historical figures they were studying in their unit of inquiry. 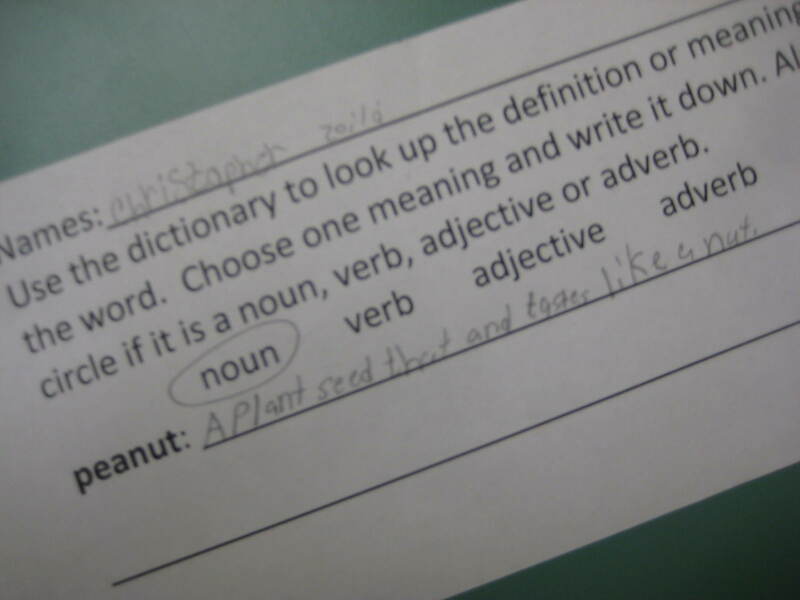 They looked up the word and I asked them to copy the definition. 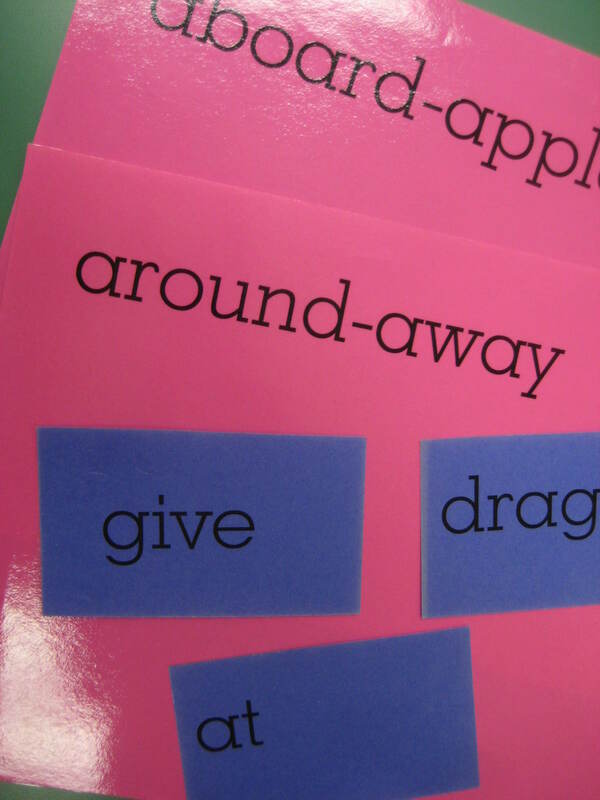 I had them practice using guide words the previous week with some laminated guide letter pages and actual words. After an overview of how dictionaries are arranged and a review of alphabetizing words the students work in pairs, receiving 3 words which they put in alphabetical order. They then proceed to the guide letter sheets which are spread out on low book shelves. That’s all we do that week. A teacher snapped this photo of me. She said there are never any pictures of me as I am always the one behind the camera! The next week, we reviewed the form and function of dictionaries. I had them work in small groups again, as they looked up the word and chose one definition. 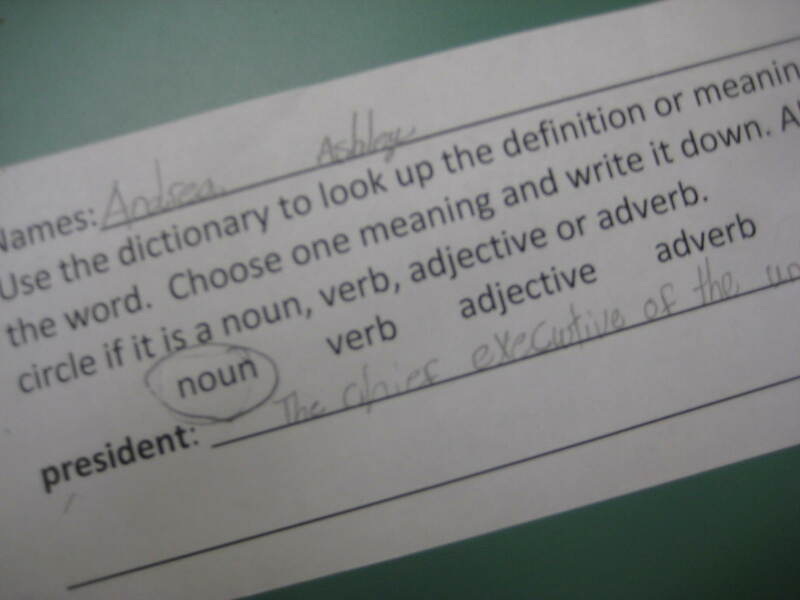 They indicated the part of speech the word they were looking up was and proceeded to write down a definition. We moved onto encyclopedias the next week. 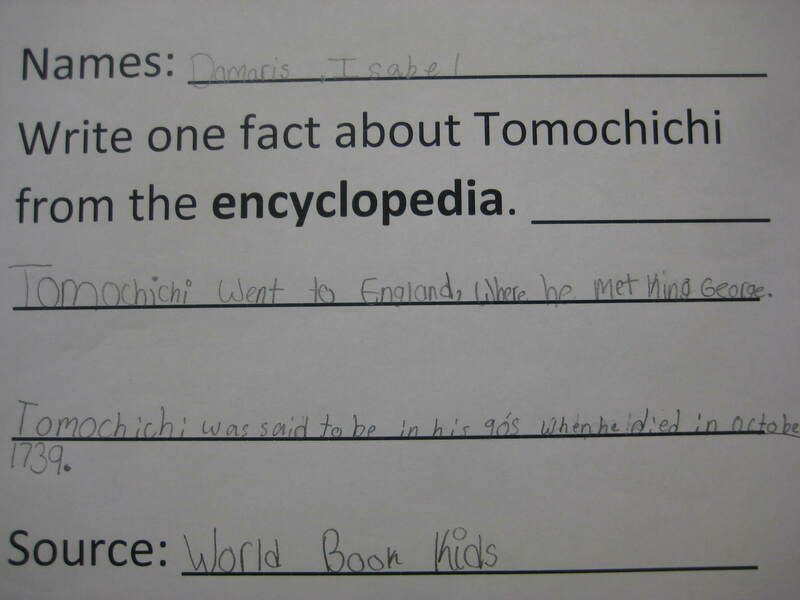 Once again I chose an historical figure they were studying, Tomochichi, as our subject. 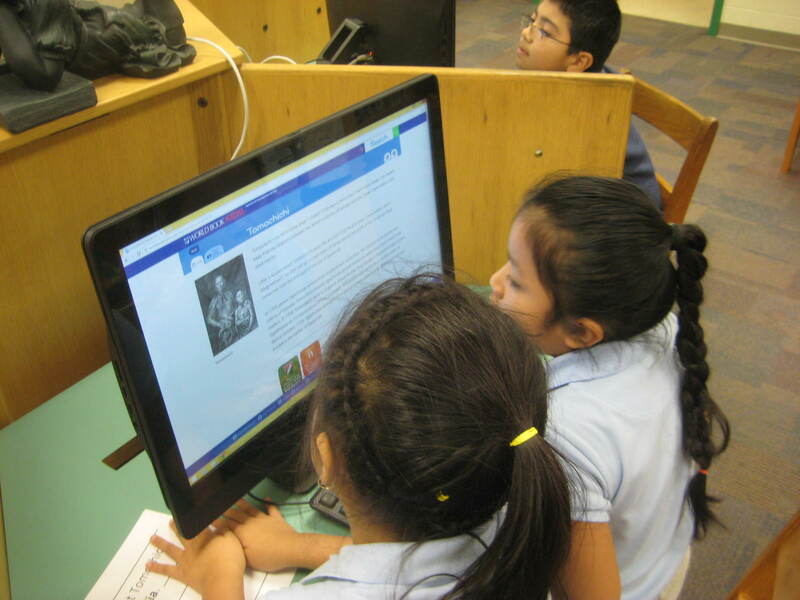 We used the online version of World Book Encyclopedia, as they can all be looking up the same subject and we are only limited by the number of computers we have (or tablets they bring with them). I asked them to search for Tomochichi and read through the article (only 3 brief paragraphs) which is on an appropriate reading level. They then decided which fact to record on their sheet. I also added a spot for them to record which source they were using (they just had to write, World Book Kids or World Book Encyclopedia), as I want them to get in the habit of citing their sources. Next week we moved onto atlases.